Dogs and dog owners by Willersey Pond. 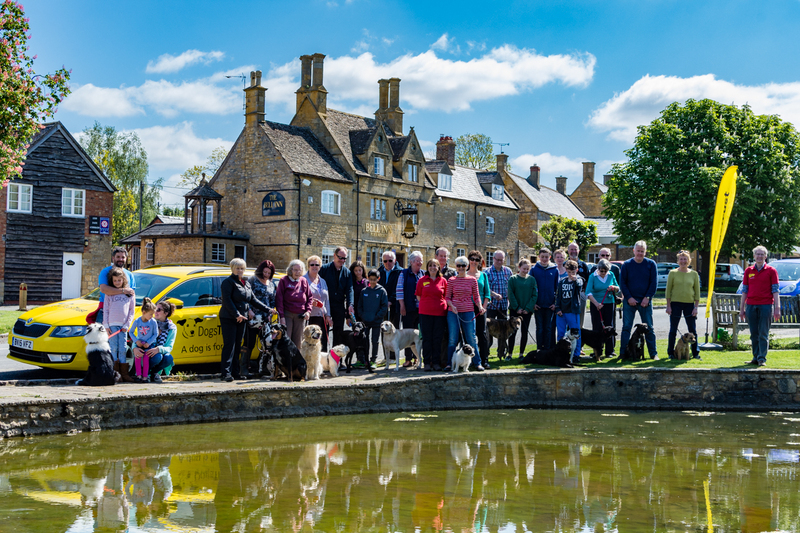 The Dogs Trust in Evesham showed their appreciation and thanked local villagers for their support over the years by taking this group photo in Willersey in May 2016. Click on the picture for a high resolution version. It may take a while to appear - large image. Here is a poster for a Dogs Trust Event in June 2016. All you need to know about fostering Dogs Trust rescue dogs on Radio Winchcombe. Listen to the programme.